I can remember when I first started in the HVACR industry; there were only three colors of refrigerant bottles in the back of the truck – green, purple and white. Along with these limited color options, I can remember using cardboard slide rules and calculators to determine charge amounts and system failure diagnosis. Fast forward to today, it seems the industry has run out of colors to select and represent all the different flavors of refrigerant. With each new eco-efficient refrigerant, several replacements have appeared and in turn, new colors. Along with these changes, out went the cardboard tip cards and calculators, and in came the mobile apps. App is a shortened slang term for an “application.” These are small software programs that can be used on a variety of different device platforms. Several HVACR manufacturers, along with industry associations have developed apps for computers, smart phones and tablets. Mobile apps started becoming popular just a few short years ago, but their growth has increased exponentially since 2009. Today there are millions of apps for basically every aspect of our lives, including the skilled trade industry. Product related apps are developed to provide instant mobile help on a particular OEMs device or component. Product apps are designed to replace the printed technical literature scattered throughout the service office or truck. This direct access to product knowledge looks to enhance the contractor’s experience by reducing research time and providing the most up to date information available. Industry related apps refer to the cardboard calculators I mentioned earlier. These apps are designed to replace the previous generation of static printed calculators with better interfaces, content, and easily updated calculations. I see these more as tools used in conjunction with a system, like you would a screw driver or wrench. 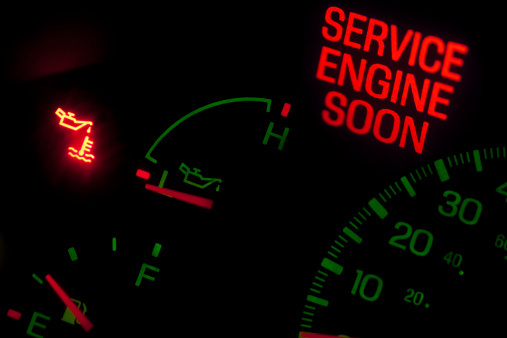 These apps allow for increased accuracy in the servicing and troubleshooting of the system. 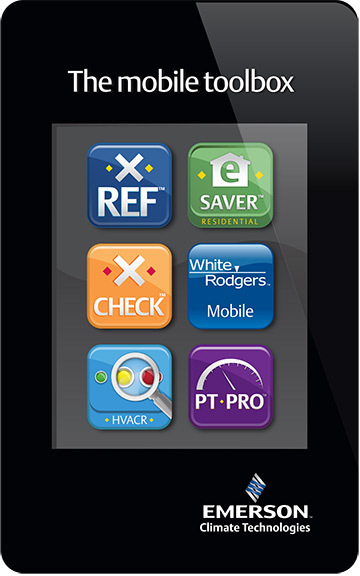 Most HVACR manufacturers have developed mobile apps to make information easily available at the contractor’s jobsite. Emerson Climate Technologies Mobile Toolbox is designed to help contractors find solutions to common issues in the field quickly and easily. Related to the Product category, apps such as Emerson X-Check™, Copeland X-Ref™, and White-Rodgers Mobile™ focus on finding replacement parts and technical product information. HVACR Fault Finder™ focuses on understanding the compressor electronic module line, along with allowing contractors to input the diagnostic code for help with compressor troubleshooting. In the Industry related category, Emerson PTPro™ and HVAC Check & Charge™ are technical resources. Emerson PTPro is a quick refrigerant pressure/temperature app designed to replace those worn out multi-fold micro charts supplied to the industry for years. It offers information on over 20 different refrigerants, along with adjustment for high altitude applications. 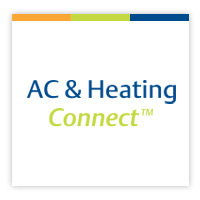 The HVAC Check & Charge app allows for a quick calculation for adjusting initial air conditioning system refrigerant charge. This system charge calculation is based on the cardboard superheat slide rulers used for years. Since the emergence of “dry-charge” units, these calculations have a renewed interest, now more than ever. My experience attending and presenting at the Multiunit Foodservice Equipment Symposium (MUFES) at the Barton Creek Resort in Austin, TX this month was wonderful. Robin Ashton and his team at Foodservice Equipment Reports put together a two day agenda that included everything from presentations on trends in the foodservice industry to how to specify the efficient kitchen. I learned a lot from the presentations but had equal learning from conversations with foodservice consultants and operators during breaks and evening events. There were two key takeaways for me. The first was that lowering energy usage is at the top of everyone’s mind. There was a lot of discussion about ENERGY STAR equipment and the money it can save. Another idea in this area that makes a lot of sense to me was to “get the heat out of the kitchen”. Refrigerators, freezers, food prep tables and ice machines all disperse heat back into the kitchen in most facilities. This isn’t a bad process in cold weather climates; however, in warm weather climates where kitchens especially heat up during the summer months, the air conditioning systems run longer and use more energy. Because of this, the University of Texas has gone through a restructuring to put condensing units outside of its facilities resulting in significant energy cost savings. This is a model worth more investigation and thought. 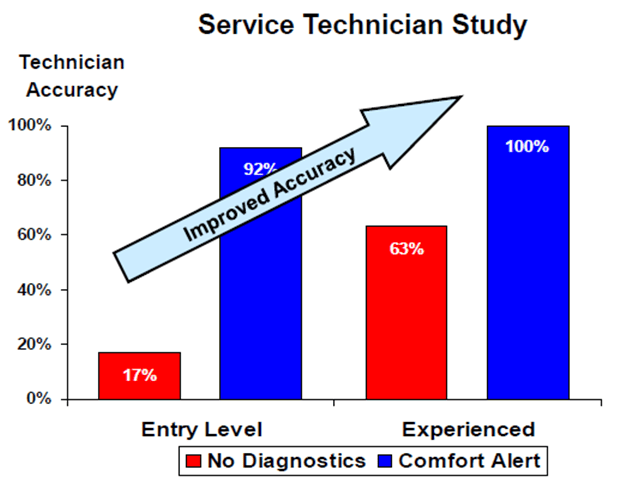 My second key takeaway is that we must do a better job communicating through the channel (but especially to end users) how diagnostic and protection devices that are now available on some refrigeration equipment can significantly reduce an operator’s total cost of ownership. Since adding diagnostic and protection devices to equipment that Emerson provides, we have seen warranty claims cut by more than 33%. Operators have cut back 1 out of every 3 compressors in which they used to pay to have replaced, and the decrease in down time to equipment gives operators more time to serve their customers. In this day of constrained resources, where everyone is trying to do more with less, it is often hard to find time to attend industry events or symposiums. I am glad I attended MUFES. I found it to be very rewarding because of the information shared and the ideas it generated. Do you have new ideas for the foodservice industry? Let us know. I’m interested in your comments and feedback. This is the second in a series of posts on key presentations from Emerson’s 2013 Technology in Action Conference. How do you manage your data supply chain? In a session at the 2013 Technology in Action Conference (TAC), Marketing Analyst Scott Crider and Director of ProAct Engagements Jeff Zazzara introduce the concept of a data supply chain and show how it should be managed like any other business asset. To create a data supply chain you work backwards, starting with your drivers and the value you want to create, and then determining what data are needed, what technology can unlock that data and how the team will interact with it. Their session also looked at how the data supply chain can help with decision-making and how what may be perceived as costly investments in maintenance can actually save money with great efficiency, improved food safety and greater consumer comfort. Scott and Jeff also used an example from World War II (covered in a separate post) to talk about the importance of data in key moments in history. And how we can use those lessons today to build strategic data signals to improve analysis. See Jeff and Scott talk about their session in this video and view their full presentation on the TAC website. 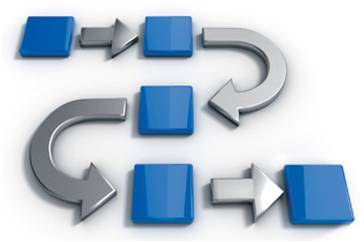 What steps are you taking to manage your data supply chain?